An early tactical split between north and east during the first day of Race 11: Nasdaq Race proved to be a make or break moment for the final positions on the leaderboard in the action-packed ten day race from Panama to New York. PSP Logistics was the first team to tack on Day 1, selecting the most easterly course of the fleet. As the teams battled through choppy upwind conditions passing through the Caribbean islands, Skipper Matt’s experiences from the previous two editions of the Clipper Race shone through as he and his team held the lead for six of the ten days of the race and went on to claim twelve race points for first place. Just three hours later, Chinese entry Sanya Serenity Coast, led by Australian Skipper Wendy Tuck crossed the finish line to claim second place, the team’s sixth podium of the Clipper 2017-18 Race, meaning it strengthens its lead in the overall standings going into the final Leg of the circumnavigation. The GREAT Britain team claimed its second podium in two consecutive races when it crossed the line less than an hour later at 18:18:47UTC to take third place. As well as gaining ten race points the team also picked up one bonus race point for its third place in the Elliot Brown Ocean Sprint. The Manhattan skyline provided an impressive backdrop for each of the eleven teams as they arrived throughout the night after completing the penultimate Leg of the circumnavigation. The eighth event in the Clipper Connect Business Series was hosted in partnership with Nasdaq and took place at the Nasdaq Marketsite, Times Square. Revolving around ‘A Data Future` theme, the evening explored how data is used in the world of sport, business, financial and social sectors with main discussion points on the future and how big data will be utilised to problem solve, revolutionise, and create positive impact across the globe. After a networking opportunity, guests were welcomed to Nasdaq’s Marketsite by Mike O'Rourke, Vice President, Global Head of Machine Intelligence & Data services, Nasdaq. O’Rourke was joined by included Kevin Ashley, Sr. Architect Evangelist, Microsoft; Antony Phillipson, Her Majesty’s Trade Commissioner for North America and Hamish Young, Chief, Humanitarian, Action and Transitions, Unicef, to form a speaking panel. Each guest speaker gave a brief insight as to how data is used within its specific industry, this was then followed up by questions around how they each envision the future of their industry and what role data, specifically big data, would play within this. Following the Clipper Connect evening, Antony Phillipson said: “I spend a lot of time talking to stakeholders, companies to see how we can help boost UK jobs and growth across North America and the chance to come here this evening and talk about the role of AI and big data with Nasdaq, Microsoft and Unicef is great - and for me to see how we frame this in terms of public policy responses is just fantastic, to talk to people who are doing business using big data to drive future opportunity’’. Mike O'Rourke added to this, stating:“There are several emerging technologies that are going to make significant impact on our life - big data and AI is one of the largest. AI is the new electricity- it will impact our society in a major way. When you get interesting topics like this - they hit home - you get audiences to pay attention- when you have a group of panellists that get together like this, it’s always interesting”. Speaking after discussions at Clipper Connect, he added: “Mike mentioned data is like electricity - it runs through all aspects of life. It is interesting to note how the same algorithms found in sport can be used in finance - e.g. at Nasdaq”. The event ended with a chance for further networking and the chance to see the Nasdaq Marketsite studio. 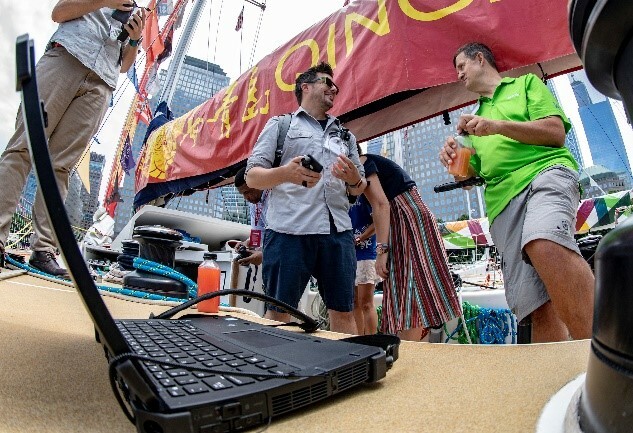 Dell utilised the Clipper Race stopover in New York, USA, to promote its Dell Rugged products to industry leaders and journalists through a series of events, sail days and talks. When only the toughest, most durable technology will suffice, the Dell Rugged portfolio steps up to the mark to ensure that the Clipper Race teams can navigate, communicate, blog and send imagery back from on board the Clipper 70 yachts as the race across the world’s oceans. The Clipper Race fleet in Manhattan, New York, provided the perfect backdrop for a Dell product showcase event, and what better way to kickstart conversations about the extreme capabilities of the Rugged range than to freeze a Rugged tablet inside a yacht shaped ice sculpture. After a welcome address from Damon Munzy, Corporate Communications for Dell, Craig Brandt, Dell Rugged Product Marketing Director, used the Clipper Race to speak about the Rugged range and its proved resilience in extreme conditions. Speaking after the showcase event, he said: “Our Rugged products are designed to deal with the most extreme environments and being on these Clipper Race ocean racing yachts is about as harsh as it gets, so it is a perfect test environment to test these products. Before taking Dell’s guests for a private yacht tour, Qingdao Skipper Chris Kobusch and two Dell ambassador crew members Sam Harper, circumnavigator on board Dare To Lead, and Marek Omilian, circumnavigator on board Visit Seattle, took part in a question and answer session to share their individual experiences of using the Dell Rugged equipment on board during the 2017-18 circumnavigation. 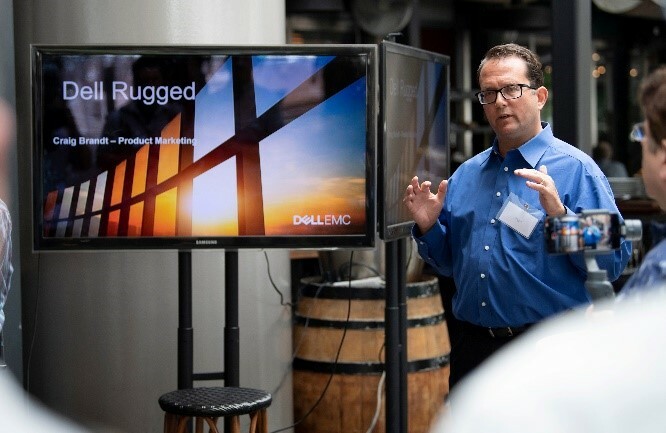 Speaking at the event, Marek said: “It has been great to talk about the Dell Rugged products here with guests of Dell. People are excited about the Clipper Race and they are amazed at what we do with Dell as we race around the world. Following the events, Dell took its guests out for a sailing experience to bring to life just how the products get used on board and how they help team maximise performance, communication and racing. During the recent stopover in Panama, the British Embassy hosted an event to celebrate The Queen’s Birthday and its Sport is GREAT Britain week using the Clipper Race team entry GREAT Britain as a focal point. The team is flying the flag for the UK as it races around the globe as part of the UK government’s most ambitious marketing initiative. Following a football match between Northern Ireland and Panama in the lead up to Panama’s first World Cup, the reception was hosted by the British Ambassador to Panama, Damion Potter, at a stunning rooftop location. In addition to a showcase of GREAT British sport, celebrating the Queen’s birthday the Ambassador noted other significant business ties between Panama and the UK. The GREAT Britain team yacht, which took third place in the race into Panama from Seattle, gave guests the opportunity to step on board during the event and find out from some of its crew members what it is like to race the 70ft racing yacht across the world’s oceans. Speaking at the event, the Ambassador Damion Potter said: “We have specifically organised The Queen’s Birthday Party to coincide with the Clipper Race visit to Panama, and also last night Northern Ireland paying Panama in what is their last race before they head off to compete in their first World Cup. “It has made the audience here; the business, social and cultural audience, and politicians form all parties, really believe that Britain knows how to do business. “The Clipper Race has had a relationship with the government for the last six years and it just really works well for both of us. It works well as a global organisation between the Foreign Office and Department for International Trade and works well as an icon that is in itself, global. The Ambassador also took to the water for two GREAT Britain sailing experiences during the stopover; once with both British businesses who operate in Panama and Panamanian business who are looking to invest and trade with the UK. The second day involved a group of local radio, TV and social influencers. Speaking about the experience, he said: “Having the opportunity to go out on the Clipper Race yacht with British businesses and with media has huge impact on the things we are trying to do over here. The event consisted of key speakers from various fields, people with diversified background were welcomed to share their thoughts and experiences from Sanya. To make the event memorable and engaging the hosts prepared interesting traditional Hainan performances to interact with guests. The event finished with a video of Sanya Serenity Coast Clipper Race team and its journey around the globe promoting the destination. Li Liyan, Consulate General of the People's Republic of China in New York said that; “Sanya is actually taking a short-cut by joining the Clipper Race. Because compared to other race partners that are globally recognised, such as Liverpool, Seattle, UNICEF, NASDAQ, Sanya is actually not well known by international society. However, by taking part in the Clipper Race, Sanya has become much more well-known. Since Sanya Serenity Coast is the leading yacht, it has gained even more media exposure”. Selecting a venue close to North Cove Marina in Manhattan, where the Clipper Race yachts were berthed, allowied guests to get on board after the event and find out more about the Clipper Race first hand from some of the crew members. Derry City and Strabane District Council [DCSDC] utilised the Clipper Race stopover in New York to promote itself as a ‘City and Region of Opportunities’ across both the leisure and business tourism industries. In partnership with Invest NI, Tourism Ireland and the NI Bureau the event’s audience consisted of businesses, investors, travel and trade operators from the tri-state area, travel media and Ireland NW diaspora. The objective of the event was centred around tourism promotion and development, building upon DCSDC’s association with the Clipper Race where by Derry-Londonderry is the a Host Port Partner. The Clipper 2015-16 Race and Foyle Maritime Festival 2016 attracted 163,000 visitors across the nine-day event, 25 per cent of which originated from outside of Northern Ireland which provided a global platform for the city to be promoted as a key destination for tourism. It also resulted in an economic boost of £5.1 million GBP [£3.46 million attributed directly to the festival] to the city. Attended by the new Mayor John Boyle who was part of the delegation that travelled to New York in conjunction with the race, the event also provided an opportunity for potential investments, engaging with New York businesses to promote DCSDC as an investment location. Another contributing factor for the event was to strengthen international relations, raising the profile of DCSDC and build its diaspora network in New York. Guests were formally welcomed to the event by Alison Metcalfe, Executive Vice President, USA & Canada at Tourism Ireland. Norman Houston, Director at Northern Ireland Civil Service then provided a valuable insight into the work the NI Bureau does before the Mayor of Derry City and Strabane spoke around his new role and the global impact the Clipper Race has provided Derry-Londonderry. Clipper Race skipper Conall Morrison, who is local to Derry-Londonderry, was invited to speak around his experience as a Race Skipper and his feelings around sailing into his home town on board a Clipper Race yacht during the Foyle Maritime Festival. The event raised the profile of the Walled City of Derry where the Atlantic Way meets the Causeway Coast, promoting the city region as a connected, competitive and cohesive region positioned as a gateway to the UK, Republic of Ireland and numerous European markets. As the fleet makes its way into the final stages of the Clipper 2017-18 Race, crews have been learning more about the work of Unicef, the official Charity and a Team Partner. Unicef works in more than 190 countries and ensures more of the world’s children are vaccinated, educated and protected than any other organisation. Crews learned more about Unicef’s work through a community visit and a project group yacht tour in Panama, and through meeting senior Unicef executives and other Unicef fundraisers in New York. Whilst in Panama the fleet had the chance to visit a Unicef-supported project that enables children living in communities where they may experience poverty and violence to develop their artistic potential and learn self-care and social skills through performing arts. Clipper Race Crew met children who explained what the project has done for them and put on a special performance for the guests. Providing crew with the opportunity to see first-hand the work that Unicef does for children in different nations brings home the importance of the fundraising they undertake as part of the race. Following the community visit, Unicef crew members hosted a group of teenagers on the Unicef yacht. The group is part of a separate project supported by Unicef Panama, which works towards ending violence against children and carries out public advocacy by empowering children to be spokespersons against violence in their communities. The crew of Unicef showed the children what life is like on board a Clipper 70 yacht and explained some of the daily challenges they have to conquer at sea. New York is home to Unicef HQ and, early on in the stopover there, Unicef crew were delighted to host Unicef Executive Director Henrietta H. Fore on the team yacht, providing her with insightful stories of what life is on board as well as receiving first-hand information about projects from ED Fore, who has a career in economic development, education, health, humanitarian assistance and disaster relief that spans more than four decades. In addition to ED Fore’s meet and greet, Unicef arranged for key fundraisers within the team to take a tour around the Unicef HQ at the United Nations building – a unique opportunity which provided insight into the work that UN agencies do for the better of the world. With part of the fleet berthed in Manhattan, Unicef USA’s NextGen group took advantage of the proximity by arranging a sailing experience on a Clipper 70. Unicef USA’s NextGen is a group of young leaders, entrepreneurs and innovators who commit their resources and enthusiasm toward supporting Unicef’s lifesaving work. Led by Shane Fox of Unicef Next Gen, sailing experiences on board the yachts were offered to fundraisers, with donations made to Unicef contributing to the overall Clipper Race fundraising total. With Unicef’s mission to raise awareness and vital funds for children in danger around the world, Clipper Race Crew and staff were delighted to achieve another fundraising milestone whilst in Panama, collectively reaching the £300,000 fundraising mark. With Race Finish fast approaching the Clipper Race is excited to announce a collection of new Unicef fundraising initiatives available to Race Crew, Race Crew Supporters, Alumni Crew and Race Partners. Unicef and the Clipper Race are offering the chance to bid for Clipper Race yacht wheels, stunning original paintings inspired by the race, and also have for sale limited edition prints and calendars - all which make fantastic mementos of the Clipper Race. You can view all fundraising items for bidding here. Official Standing Rigging Partner Sta-Lok Terminals recently celebrated ten years of being established in the United States by inviting staff and partner suppliers in both the marine and construction industries to a sailing experience in New York on board a Clipper 70. Following the morning sail, guests were joined by Clipper Race Director Mark Light and some Clipper 2017-18 Race crew members for a Q&A discussing exactly what it takes to both manage and participate in a 40,000 nautical mile adventure of a lifetime, and how the Sta-lok rigging stands up in some of the world’s harshest environments. Following lunch and an insightful Q&A, it was time to take to the Hudson for an afternoon of sailing to see the Sta-Lok standing rigging products in action. Luke Gusman, Marketing Manager, said: “It was fantastic to be able to celebrate the incredible amount we’ve achieved in the United States in the previous 10 years. A new partner for the 2017-18 edition, Sta-Lok aims to utilise its collaboration with the race to increase brand awareness and establish new contacts in both the UK and USA. 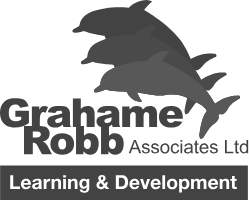 Through the Clipper Race it has recently become a partner of the GREAT Britain Campaign under the Innovation is GREAT pillar enabling them to work strategically with the Department of International Trade [DIT]. Utilising the new partnership Sta-Lok used the stopover to meet and develop its links with DIT at the British Consulate in New York, with the hope of generating new business on the East Coast. They also built new relationships through attending the Clipper Connect Business Series event at the Nasdaq MarketSite in Times Square.